If I Might Interject: Is it Time to Acknowledge the Elephant in the Room? Is it Time to Acknowledge the Elephant in the Room? Over the past 30-odd years, there’s been chaos and rebellion in the Church. It didn’t start with Pope Francis, and it’s not limited to one faction. This confusion has been about like-minded Catholics confusing their ideology with the Catholic Faith and labeling whoever disagreed with the ideology as disagreeing with the Church. Perhaps it’s time to acknowledge the elephant in the room—if a person objects to a teaching from a Pope, it’s not because that person is faithful to the “true” Church. Rather the person is a dissenter from the obedience required. This problem was always present in the Church, but it was only obvious after Francis became our Pope. Up to that point, conservatives claimed to be defenders of the faith taught by the magisterium while liberals argued they were defending what Jesus intended the Church to be. When Pope Francis became Pope, the conservatives claimed they were defending what Jesus intended the Church to be while liberals claimed they were right all along. The properly formed conscience isn’t contrasted against the magisterium. It assumes following the magisterium. If one breaks this link between conscience and magisterium, they effectively break their link with Christ through the refusal of obedience. This is where we get a chorus of “but what about...” But we know Our Lord made a distinction between the teaching authority and the personal behavior (cf. Matthew 23:1-3). 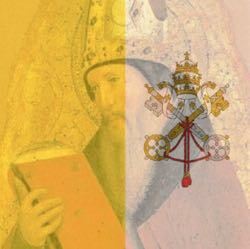 The sins or failures of a Pope or bishop is neither permission to emulate nor permission to disobey. No doubt some bishops turned a blind eye to wrongdoing. No doubt the Pope was misled when he thought that the claims of abuse in Chile were calumny. But these things do not take away from the authority to teach in a binding manner. When we recognize this, it becomes clear that “whataboutism” is an excuse, not a justification. It doesn’t permit us to withhold obedience. So those who cite these things as a reason to refuse submission are not showing a higher obedience. They’re showing disobedience. In fact, they’re showing behavior similar to the rise of Protestantism. While it started with a desire to reform abuses, it presumed that different interpretations of Scripture and past teachings were proof that the Church had gone wrong but they had not. God does not protect His Church from teaching error. If God protects His Church from teaching error, then we must trust that even when an individual bishop errs or a Pope makes a bad judgment call, God prevents the Church under the governance of the current vicar of Christ from teaching error. But, if God doesn’t protect His Church from teaching error (which contradicts Matthew 16:18 and Matthew 28:20) then we can never know whether the Church was right or wrong when a heresy or schism arose. The Arians might have been right. The Eastern Orthodox might have been right. Or Luther, etc. If the Church can err today, we can have no assurance that we didn’t err in the past. It’s time to acknowledge the elephant in the room. Those who claim that the Church is in error are dissenting, believing that the Church—protected by Christ—is currently in error while they are not. That claim is incompatible with our faith in Christ and the belief that He intended to build a Church on the rock of Peter that would not fail. Once we acknowledge the elephant, we can deal with it and perhaps overcome the problems facing the Church: within and without.